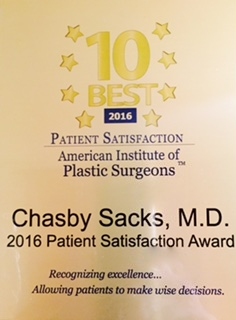 Dr. A. Chasby Sacks, M.D., M.B.B.Ch., F.A.A.C.S., F.I.C.S., C.I.M.E., A.S.L.S is the Medical Director of Arizona Cosmetic Surgery. As you read about Dr. Sacks' training, experience, and certificates that attest to his knowledge, you should know also that his surgical skill and caring attitude are the basis of his greatest recognition. Dr. Sacks was the first plastic surgeon to perform liposuction in Arizona. His practice is internationally based. Dr. Sacks completed residencies in two specialties-General Surgery, and Plastic and Reconstructive Surgery. He trained at Wadsworth V.A. Hospital in Los Angeles (affiliated with U.C.L.A.) and Queen of Angeles Hospital, Los Angeles. He completed his Plastic Surgery residency in Phoenix, Arizona where he now resides. He is a member of the American Society of Liposuction Surgery, the American Society of Cosmetic Breast Surgery and is a Fellow of the International College of Surgeons. He has served on the Board of Trustees of the American Academy of Cosmetic Surgery where he also has served as Treasurer. 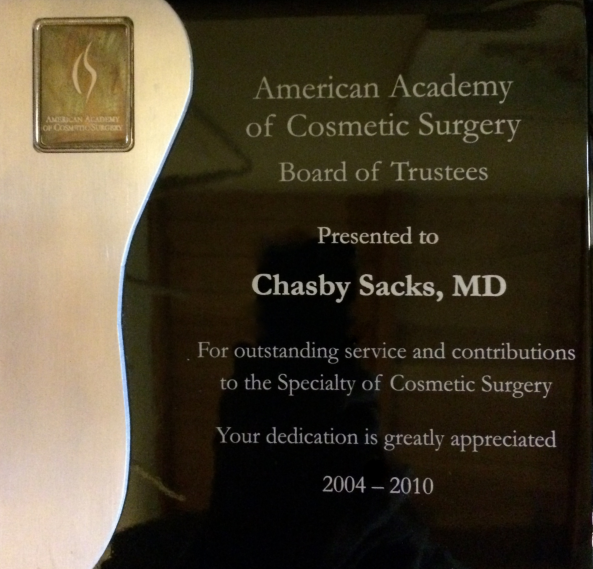 Dr. Sacks also has been a Trustee of the American Board of Cosmetic Surgery, has served as their Treasurer and is also an examiner for this Board's examination process. 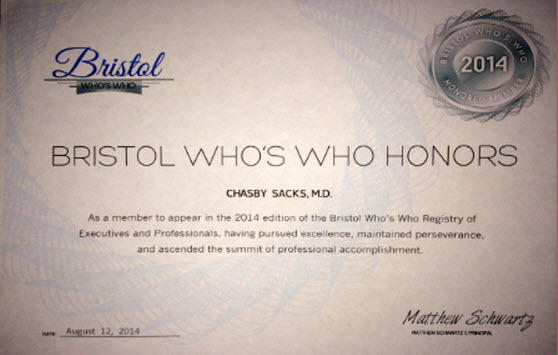 Dr. Sacks is also a Board Certified Independent Medical Examiner. Dr. Sacks has performed over 20,000 cosmetic procedures to-date and he has an excellent reputation for achieving a very natural appearance in his patients. He has lectured at international scientific Cosmetic Surgery meetings and has been published in a textbook on Body Contouring as well as in various national magazine articles on Cosmetic Surgery. The artistry and talent necessary to perform delicate surgical procedures passes on easily to Dr. Sacks' secondary interest of being an artist and sculptor. 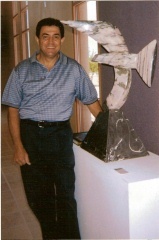 Sculpture created by Dr. Sacks. He has produced stained glass windows and large crystal pieces set in sculpted resin bases. The sculpture on the pages of this site was designed and created by Dr. Sacks in stone or metal.. His sculptures have been exhibited at various libraries and art centers in Phoenix and Scottsdale and in other cities in Arizona. He is a juried member of the Arizona Artists Guild and the Arizona Arts Alliance.